In unsafe or care situations it may be necessary for action to be taken quickly. 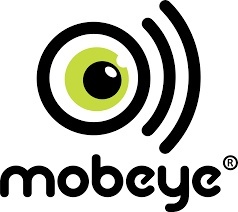 The Mobeye Panic button is a simple and effective alarm indicator. The set contacts are SMSed and called at the touch of a button. The Panic Button works completely autonomously on batteries and is a compact, sturdy box. The time between the emergency call and the telephone number of the emergency numbers then lasts about 10 seconds, depending on the strength of the GSM network present. The GSM Panic Alarm can also function on AC power; in this case the call will arrive at the contacts within a few seconds. In the latter case, the GSM detector will also inform you if the power fails. Up to five numbers can be programmed in this' Voice and SMS device. This is a GSM emergency button that is indispensable in unsafe situations and care environments! The Mobeye Panic Button has an extra input for an external emergency button. This emergency button will call up the same alarming behavior as the built-in button. As soon as the batteries need to be replaced, a 'battery-low' message is sent to the first set phone number. You must insert a SIM card from any provider into the module yourself; Mobeye recommends using a 'subscription card' for this. A pre-paid card also works, but then the user has to keep an eye on the credit. Optionally you can order a 12 volt power adapter. Further examples of applications are receptions, night watchmen, hotel watches, jewelers, cash desks.